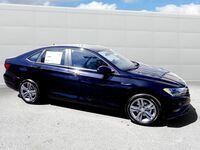 Consistently a favorite among Volkswagen drivers, the Volkswagen Jetta shines in the spotlight due to its high levels of efficiency, style, and drivability. 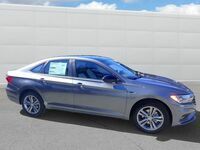 Innovative standard features like Bluetooth connectivity, remote keyless entry, and a back-up camera give owners the convenience they crave, while available comfort extras like Climatronic dual-zone automatic climate control and heated front seats keep everyone relaxed and ready for the long journey ahead. The Jetta also comes standard with a 1.4L TSI 16-valve DOHC in-line 4-cylinder turbocharged engine that sips on fuel while providing plenty of power, getting the whole crew where they need to go quickly and efficiently. 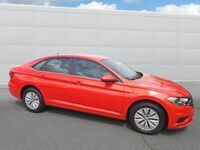 Add in Apple CarPlay and Android Auto capabilities through available Volkswagen Car-Net App-Connect, and you've got one cool compact sedan that is ready to take on any adventure. Here at Dirito Brothers of Walnut Creek, we pride ourselves on not only being a trustworthy and reliable Volkswagen dealership, but also a passionate member of the Walnut Creek community. We are proud to serve you and the entire East Bay area, and are always actively looking for ways to better provide our customers with the deals and service they deserve. 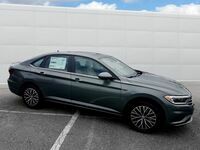 If you are in the market for a new or used Volkswagen and are in Walnut Creek or anywhere else in the East Bay area, don’t just visit any dealership. Visit a dealership that has proven it knows how to make drivers happy and meet their needs with satisfaction. 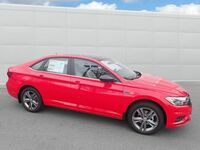 We look forward to inviting you into our state-of-the-art facility and helping you get behind the wheel of a fantastic Volkswagen vehicle today!